I saved $2,500 by buying 2 items abroad. Is that un-American? My post on why we’re all hypocrites about our weddings was one of my most popular. So since one of my friends just got engaged, I thought you’d find this interesting. When I had dinner with him last night, I asked him how the wedding planning was going. He told me that to save money, he’s flying in a wedding photographer from the Philippines. Even with the flight and accommodations, he’ll save $4,000. A friend had crowns and other dental work done in India for $400. Amount saved: About $3,500. …heart bypass in the United States costs $130,000, but just $10,000 in India and $11,000 in Thailand. A hip replacement in the United States would cost $43,000 but just $12,000 in Thailand or Singapore. Hysterectomy costs are about $20,000 here but $3,000 in India. For less-risky items, like buying a custom suit, rugs, or pieces of furniture, the savings can be significant enough to make the trip without worrying about quality. After all, if it breaks, just get it repaired — or, a la Wal Mart, it may be so cheap that it’s simply disposable. This is a political firestorm. What about labor practices and environmental impact? In fact, in last week’s Friday Entrepreneur post about Shannon from Payloadz, there’s a raging discussion in a post last week about using offshore workers: One commenter accuses others of using “CFL (Cheap Foreign Labor),” and others jump on him for ignoring globalization. What do you think? Have you traveled abroad specifically to buy something cheaper? Have you ever had surgery abroad? Is that un-American? For me, this entire argument comes down to supply/demand. If you don’t like how much something costs, don’t buy it. The reason all of this crap is so expensive in America is that American’s haven’t learned the word “No”. If America, as a culture, would quit buying junk they can’t afford then prices would go down. Now, I will say this doesn’t really apply to healthcare. Healthcare here is just simply a ripoff. Obviously if you need heart surgery you can’t just say “No thanks”…don’t hear me saying that. I think healthcare is a completely different beast to argue about that doesn’t really fall under the supply/demand argument. I’ve bought multiple items abroad and saved tens of thousands! Back in 2000 when the US dollar was flying high, I was a recent grad buying a new home and needed furniture. However, I was discouraged at the low quality goods I could buy at the neighborhood furniture stores. After making friends with a salesman at one particular store, he suggested I buy abroad. I purchased 2 leather sofas, 3 tables, and 2 bedroom sets from an Italian company for what one average American made bedroom and living room set would have cost. Granted, I had to wait 4 months for them to be manufactured and arrive by shipping container, but planning ahead saved me thousands. A word to the wise – pay attention to those foreign currency markets, be patient w/ your purchases, and always plan ahead! US is heaven for branded clothes/items, laptops, cars…..do people get angry when foreigners flock here to buy those goods? The borders of our countries cease to exist anymore. They are only there to keep terrorists and illegal immigrants out. FYI: Levi’s 501’s still cost around US$100 overseas. If “American” companies are free to go overseas to have products made because it is cheaper there and to even register as foreign companies to save on taxes, why should there be a backlash against “free” American citizens buying goods and services overseas. Like Levi Strauss said when they pulled jobs out of the US and headed to Mexico, it just makes sense to maximize return. I’m swedish and I recently visited the US and saved more than the ticket price when buying quality clothes, camera stuff and musical instruments. It was not the main purpose of the trip, but I could not ignore the price difference. Ramit, Don’t worry about offending people. I live in a city (Adana, Turkey) where “cheap foreign labor” provides great jobs for a lot of people. There are huge textile factories in town that produce goods for the likes of GAP/Banana Republic/etc. Believe me, it is considered a privilege for many people to work in a company like that. Because of their size, these companies are regulated more closely by the government and in turn provide more sane working conditions, stable salaries and social security/medical coverage. Sometimes when “overseas labor is cheap” it means thousands of decent jobs for people who would otherwise be jobless. I spent all of 2006 in Qatar in the Middle East. I was shocked to see that my birth control pill was only $8 USD for a 1 month supply and was over the counter. Even with insurance it would cost me almost $35 USD to buy it in the States. I did a side by side comparison and found the pills to be identical. The only difference was that the Qatari ones didn’t have any “Reminder” pills…the ones that you take during your period but don’t have any hormones to keep you in the daily habit. I purchased almost 2 1/2 years worth—up to the expiration date! If the US is a capitalist country, and buying at the lowest rate is a capitalist act, then one cannot call buying abroad un-American. I second C Smith’s statement. The US was founded on capitalism and it has only been in the past few decades that we’ve decided as a group to stop working hard and to start relying on the government to support us and make all of our decisions. And I don’t even know at what point “the customer is always right” philosophy was dropped from American business practices. I applaud any people that have the drive to work hard, provide quality customer service, and produce high quality workmanship at a competitive price. Side note: I’ve lived in Japan the past three years and although prices are steep here, the businesses here still provide quality workmanship and excellent customer service. anotherguy and bjorn are right, there are plenty of Europeans (including some of my family members at home in Ireland) travelling to the States very regularly to save money on items such as clothes, electronics, etc. And Icelandic people travel to Ireland to do the same. We’re all citizens of the world now, I mistrust anyone who says otherwise. As for me, I live in Canada and save money all the time by getting items such as bed linens, towels, crockery, and so forth in my husband’s native country of Bangladesh. I’d be daft not to. Your wedding photographer is a really interesting and creative example though. Sometimes you don’t have a choice. The wait for some medical procedures can stretch out for years in Canada. Those who can afford it pay to get those operations done in other countries instead of waiting around. Does that make them un-Canadian? I live in Australia, and I often end up buying goods from the USA. Even with international shipping, I can often get goods at a fraction of what it would cost me to purchase them here. Where do you live to get that high of a price on those things? San Francisco or Manhattan? Americans pay the most for health care and have the poorest health care outcomes. For example, among developed nations the US has the highest infant mortality rate and the lowest life expectancy. Other nations deliver better health care for less money. It’s no wonder that Americans are going elsewhere to get the medical care they need. It’s just unfortunate that the less fortunate cannot afford the luxury. JL Link, I can answer that – it costs about 0.45 cents of fuel per mile. Means if you travel to a country say about 3000 miles and come back (total 6000 miles), it would cost you about 27 $ worth of fuel, or say about 10 galons of gas. In strict carbon terms, that would create about 70 to 80 kilgrams of carbon di oxide. Your concern is right. However, a group of American workers and executives would have burnt more fuel (carbon generation) before they provide you a particular product or service (American carbon generation per capita is about 6 times that of global average) … ! Complicated ? It is ! Ser, no, you really can’t guarantee that the quality is worse. In many cases, it’s as good — or better — than what you’d get in the USA. And I agree, you definitely need to work in the cost of airfare. But if you’re buying a $4,000 sofa or a couple custom-made suits, you can actually save money going abroad. Because airfare is relatively expensive, you really start seeing savings when you buy expensive items (custom suits, dental work, surgery, etc). Maybe we should refer this to the House of Un-American Activities Committee… Oh wait, that was under McCarthyism in the 1950’s. Maybe we should get over whole ‘Un-American’ thing, our country constructed the global economy and we should participate in it and not frame everything in ‘American’ lexicon. That is a begone era. Indians, Chinese and Africans etc have the right to participate in the global economy as much as we do. Give them a chance. I’d say paying for the best priced product is the exact thing which the leading capitalistic nation in the world is all about. A few Europeans spoke up here about buying in the US to save money. I sell lots of stuff on ebay for supplemental income and it is amazing how many European customers I get, quite often the cost of shipping exceeds the cost of the item. For example last week I shipped 2 motorcycle wheels to Spain. The wheels cost $19, shipping was $278! I would say the weak dollar has been very good to me but even more so for the US Post Office. Last year, I did a price comparison of Canon and Sigma DSLR lenses, Compact Flash cards, and even a Henckels knife with Hong Kong shops. I found that it was always cheaper to buy from Amazon in the US especially or another reputable online store. Also, what’s important to note is that the product warranties for electronics in particular are usually only valid in the country where you purchased it (Canon and Sigma especially). With that said, if you’re not looking for brand name, then you can find a lot of cheap stuff abroad and in Asia especially clothing. Unfortunately, for clothes they will often have a “no fitting” rule and not allow you to try them on before you buy even though there are fitting rooms in the back of the store. I’ve heard of people flying to Asia, especially Taiwan to get their engagement professional photos done because of the better pricing and quality. Also regarding eyeglasses overseas… I used to get my glasses in Hong Kong and when I saw an opthamologist in the US and he analyzed them to determine the prescription, he immediately asked if I got them overseas. He explained that a lot of eyeglasses overseas are made with glass rather than plastic. I took it as a bad thing; the thought of somehow shattering my glasses while wearing them (car accident or some other freak accident) was enough for me to shell out the couple hundred dollars to get my most recent pair. The bigger question is why would someone in their right mind pay significantly more than $4000 for a wedding photographer!?! I’d be hesitant to travel to Asia or Africa for medical reasons, although I’d feel more comfortable seeking doctors in countries like Argentina, Chile, or Brazil which tend to have a superior standard than their African or Asian counterparts (Japan excluded, of course). It’s my health we’re talking here, after all. Now, for non-medical, material things, there’s nothing wrong in trying to find good bargains, regardless of their origin. Cheaper things are found abroad, but let’s not forget the ‘market position’ that the “Made in USA” label still has all over the world. I remember when I lived in South Florida, you’d see all these families from Latin America just come over and buy stuff out the ying-yang. I think the main problem the USA faces now is that so many people just don’t give a crap about their job. Case in point: I went to the doctor a few days ago. My appointment was at 11:00. I show up a few minutes early, register, and a nurse takes me to a waiting room. I wait 40 minutes!! for the damn doctor to show up. He comes in, never apologizes (why should he? He’s a doctor, right? ), scans my paperwork for a mere few seconds, asks me 3 or 4 questions, and proceeds to start writing drug prescriptions!! I don’t want drugs!! I want a doctor who cares for me! My payment was handled expediously, however. So, from doctors to plumbers to contractors, it’s the same mentality, the same issue, which causes other countries now to be as – or even more – competitive than we are. I personally don’t see a problem with this…. While some may argue that perhaps domestic labor and services are being poached somehow, another way to look at it is that domestic consumers have preserved substantial purchasing power this way. Some may have leaked out abroad, but most is still kept at home. Now, I’m not an economist, but is that really a bad thing? One example is with my sister, she had a bad disc in her neck. She was considering going to Germany, India or Thailand. The costs were roughly $45K, $25K, and $14K respectively. The reason she was considering this is because here in the states, the only disc surgery that is FDA approved is disc fusion, which is where they “fuse” a bad disc to a good disc. She recognized this as a horrible, yet APPROVED solution. What happens when you have bad disc fused to a good disc, you experienced decreased range of motion and the bad disc ends up f***ing up the other one. The worst part is the cost of disc fusion was damn near the cost of the other 3 combined. Germany invented disc replacement, where they replace the bad disc with a mechanical device. They started this in the 80’s and they have replaced 0 for failure since that time. India and Thailand have mimicked this procedure. **note: my sister found out about a local Indian doctor here in Buffalo who specialized in disc replacement surgery and was able to get it done for under $10K with a supplement from research grant. What is said is it is considered a “white label” surgery, meaning it is unapproved by FDA. I live 2.5 hours from the U.S./Mexico border and there’s definitely a lot of crossing the border for purchasing goods – going both ways. A lot of Americans go there to have their dental work, plastic surgery and buy cheap prescriptions. Cosmetic surgery in particular is popular. But, they’re crossing over here too, to buy cars, electronics, and clothing. If you wanted a safe investment, put your money anywhere in the Rio Grande Valley. It’s boomtown. I live in Costa Rica and many, many people come here to have plastic surgery, dental work and other medical interventions. By the way, I have a furnished apartment very near all the hospitals and near good English speaking dentists. My wife bought $700+ worth of shoes in Hanoi Vietnam recently for only $80. She has a small foot and most american shoe manufacturers don’t make women’s shoes in her size so she has to go to specialty stores to get them. They can cost $100 – $200 each if not more. So, in a market in Hanoi she was not only able to find her size (apparently its a very common size in Vietnam) but they were only $11/each. It may be cheap foreign labor but the woman who ran the stall in the market was extremely grateful that one American woman provided an entire days worth of revenue while one American woman was extremely grateful that one entrepreneur in Hanoi was able to provide her with nice shoes she would never be able to afford in the United States. Nah, its all cool. As long as it is “Jesus Approved”. I don’t think this is un-American at all. We now live in an information age, global economy. I live in a city in upstate New York where it is possible to purchase inexpenive rental property with positive cash flow. We have seen a major influx of investors from all over the world..even Australia, come to purchase property here. It’s an extra good deal for non Americans because the exchange rate is so favorable for foreigners right now. If it’s OK for an Austrailian to buy rental property in the US, then I think it’s OK for an American to buy a suit in India. I went to a trade school in Canada when the exchange rate was favorable. The best part was I using a grant! Buy the movie Outsourced. It’s really cool. To me cheap is very American. Import-export, wholesale and mark ups. Isn’t there a saying in the US never pay retail? I think it would be un-American not to buy items abroad if the price is right. I don’t think it would be an unfair assessment to say that to many, America stands for innovation (or at least used to). Well, necessity is the mother of invention. When you have heavy competition, you need to have cutting-edge ideas, technology, and processes to lower costs; history shows us that oftentimes this was accompanied by an increase in quality as well. In my infinite wisdom (ha) I only see this kind of shopping abroad spurring on innovation domestically to keep up. Additionally, this is why I’m surprised so many people support alternative fuels, while simultaneously complaining about high and outrageous gas prices. Listen buddy, we’ll start making cars that run on recycled baby teeth when it becomes economical to do so, i.e. the cost of producing gas would be more expensive than the costs of producing said technology (R&D of neighborhood baby teeth recycling centers, etc.). Shut up and get these prices up if you want alternative fuels – not that it seems to take much effort to drive up gas prices these days. That’s the road to electric cars and nuclear power plants. If I want a custom-made suit, I get out my sewing machine. I’m still trying to wrap my brain around the idea of flying half a world away to save money on a suit: the cost of tickets, the time spent, the natural resources used up, the whole package. If one were vacationing there already, I could see thinking, “And while I’m here, I’ll see if I can pick up a nice hand-tailored suit.” But not all of us are wealthy enough yet to “save money” in quite that way, so the issue of “American or un-American” is moot for us anyway. I’ve never heard of paying $4,000 for a wedding photographer. Those photographs better be made out of pure gold. I am a 31-year-old guy in Rio de Janeiro/Brazil. I can tell you that I have seen lots of foreign people coming here to undergo stomach reduction, dental treatment, etc. They say they have a one-week fun period, and afterwards undergo the surgery and return home. It’s OK, since you get the results you want. From my part, I usually go to Argentina (at about 2,5 hour flight) to buy clothing and other stuff for half of the price. In Buenos Aires (its capital), it’s easier to find a Brazilian than even an argentinian. What about considering these workers as humans with needs, desires, and aspirations similar to our own? Imagine if your message to not sell yourself cheaply were to reach these people, the ones who are selling their labor (and quality) below market value. One assumes that they are grateful for what they can get, which on the surface is true. However, as a former Peace Corps volunteer who worked with women employed in the textile industry in the Dominican Republic, I can assure you that for some of them their external gratitude masked growing resentment regarding the exploitation of their skills. What about paying a fair wage for quality workmanship? Or should those who are cognitively or otherwise advanced take advantage of their privilege at the expense of those who are either in desperate situations or with diminished cognitive functions? karen, The tricky phrase there is “fair wages”. Who defines fair wages? Maybe that is the fair wage where they are located, if everyone around the globe would make the same fair wage we’d have a serious problem on our hands. You can’t have communism again, all over the place, where everyone’s equal. Everyone should have a fair shot at both earning and buying. As a child, I remember my family from Holland going to the US and bringing home blue jeans. Later, I went to visit them and saw the prices were double! Even at that young age I understood. It seems simple. If products are cheaper, you are probably closer to the source. If services are cheaper, those who charge more should tote their quality. Free market is America’s foundation. 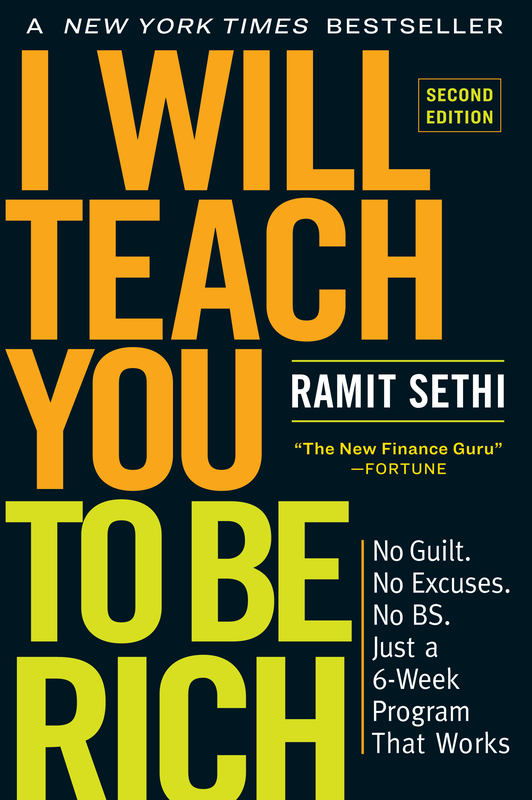 Something that has been slowly chipped away at over the years.. Ramit, I would never hesitate to buy abroad. It makes me sick that the same people that hound you to only buy from the US are the same people who say that they support freedom. What hypocrites! The world is definitely changing. The price of health care in the US has gotten out of control. That is a really great idea to go to other countries to do something like a serious surgery. One could fly there, take a vacation, get the surgery, and chill out there for a couple more weeks. All cheaper than many American surgeries. I will have to remember this when I need one…hopefully I don’t. I live in London where it costs $150 USD to fill up my car (not a gas guzzler – a 1.8L VW Golf.) and an average bespoke suit starts at $3,500. Needless to say, I buy everything in Asia or the US when I can!!! Earning in US terms and spending in Asian terms would the an ideal combination. You don’t have to feel unAmerican. Enough Asians plonk money in the US to buy the same stuff from US retailers. How can people get upset for our capitalist behavior in a capitalist country like the US? I couldn’t understand why people got so upset over the InBev/Budweiser deal either. If the company wants to sell itself to a foreign company, that’s their business — not anyone else’s. Jeesh. I live overseas. I moved from Chicago to China. I was so sick of the mentality in the U.S. of us vs them. Get real. WE are all interconnected. IT is not about how much this or that costs, but about respect toward your neighbor. Period. Whats the difference between this and owning foreign stocks. Which is a mark of a well diversified portfolio. Are you being un-patriotic if you buy stocks in company’s not in the USA? Ramit Sethi, I saw you posted a comment about that airfare is “expensive”. Really? I guess you don’t remember the days when Chicago to L.A. was 2000 U.S.D. Or how about Chicago to Tokyo? I remember when it was 5000 U.S.D. Now you can do it for a fraction of that cost. Trust me you are all very lucky and blessed to get to fly for very little. You know where that reduction in airfare came from? My paycheck. And yes, YOU all take for granted flying “safely”. Thousands flight go everyday uneventfully. For that you should be thankful. Oh, and don’t even go there saying that the airplanes are all automated now and our job is easy. I met my wife while I was living in Japan (I am an American). When we decided to get married in 2002, I started shopping for diamonds, and was shocked at how expensive they were! In Japan, you will pay about 4x more than in the US for an equivalent stone. So, I flew home, had a nice visit with my family, and picked up a diamond here (we had it set in Japan so she could pick the ring, but that cost was nothing compared to the stone). Even with airfare, I probably saved at least $5000. I realize that many people have a problem have a problem with purchasing items outside to the U.S. because of the lower prices, but it isn’t as if people from Europe don’t so the same thing to us. There was an article not too long ago about how European were flying over to New York just to go shopping because it was so much cheaper than shopping in their home country. Now I know it is not the same thing exactly, but really we are in an age of globalization. I’m sure many American made goods are produced using cheap labor, but since the item may be marked up 200 or more percent, we just don’t think about it. I’m a wedding photographer in the United States, and your friend isn’t saving 4 grand. He just doesn’t know how to find wedding photographers. I live in Minnesota, and I charge $1,800 for a wedding, which includes an assistant. If he saved 4 grand on me, I’d be paying him money. There are literally tens of thousands of photographers across the country who are charging even less than I am, and there are bound to be some that are better than me even at lower prices (either because they live in lower-income markets, or because they’re insecure, or whatever it may be). Peter, just because you charge $1,800 doesn’t mean my friend doesn’t know how to find wedding photographers. First, you live in Minnesota, which has huge price differences compared to San Francisco. EVERYTHING is more expensive here. Second, he’s not looking for just any photographer (not denigrating your work, just saying the particular photographers he would want are expensive). Sure, he could probably find someone cheaper, but for the photographer he wanted, he’d be able to save $4,000 by flying someone in from the Philippines. My grandparents always gets everything from their underwear to their dentures abroad. You can’t blame them, how can they afford it in the U.S. when they’re 80 years old and new immigrants. There’s only so much their children & grandchildren can afford to buy them. With the inflation & recession, My 60K salary only gets me by after taxes. Most of the items on retail shelves in America are imported, including the Old Glory. The only American made items one could buy would be socks and McD burgers! The very principle of US capitalism is that money flows to where it is most efficient. Wake up people we live in a global village now with the internet and travel being easier. Nope. I don’t think it’s un-American. Wal-Mart crushes local retailers (sometimes, not always) because it’s better than they are in certain aspects of business. It’s called competition and that’s very American. The ones that survive are made that much better because they have to compete with Wal-Mart. The same thing applies here. If US tailors have to compete with Indian tailors, then they’re going to do a better job or go out of business. They have to figure out how to make us want to get a suit from them, which in the long run probably only the best tailors are still selling suits. Also, about the medical stuff, $130k for a heart bypass is likely pre-insurance and I’m guessing that most insurance companies don’t cover procedures done overseas (I might be wrong, so if I am please let me know because I’m curious now). So if you have insurance, it might actually be cheaper to have it done in the U.S. I had surgeries recently to the tune of $17,000 (that’s before the insurance company negotiated pricing), but I actually paid $2,000 (my out of pocket max for a year). Something to consider. Plus being able to recover around friends and family is tough to put a price tag on . Just something else to consider. Forgot to mention….do you know how many thousands come to the US for medical treatment? hundreds of thousands despite the cost. I bet you my bottom dollar that even Mugabe would have come to the US for some medical treatment. I know tons of VIPS and people with almost fatal diseases come to the US as their final hope for cure. If it makes you feel any better I am an Indian living in India, and I get books and gadgets from the US because they are cheaper there. People travel there all the time. (Even a Dell, which is manufactured in my Indian Ocean Backdoor in Malaysia, is cheaper to buy in the US) We order Tylenol from the U.S. even though there are 7,500 variants of acetaminophen (Tylenol seems to work better). My company got its logo designed from a U.S. company primarily because it was cheaper than anything local (and we are a startup). I have no qualms contracting work to U.S. programmers either, or to Eastern Europe or Russia, especially if it costs lesser. Soon, given the price of real estate in Mumbai, it might be cheaper to travel to the US, buy an acre of property with a house on it, and save vis-a-vis a 1500 sq. ft. condo in this city. Wait, I think that’s already true. Excellent piece. I’d like to see more discussion of medical tourism in particular — I’ve been researching this industry for several years and have looked extensively at Apollo Hospitals’ operations in India, and would very much like to hear you expound further on your experiences and personal research on this topic. Love the site aside from this, as it has been keeping me financially unstupid for months. As far as the medical tourism goes I think a major factor to consider there is risks: how does the care compare to that in the united states. Ramit, sometimes people tend to exaggerate the savings! Do you really order $2000 suits in the US? If you dont, then $2000 was NOT your savings factor regardless if you got one custom made in India and that is worth $2000 in the US. You also cannot compare the fabric used in the $200 suit vs the $2000 suit. For my wedding, I got a dashing $200 suit from Burlington Coat Factory and I looked sharp. It depends where you buy and what you compare it with. I really think you can never justify a photographer from Philippines. There has to be more reasons for that person to come all the way to the US for $4000. If the photographer was really a top notch person, $4000 is nothing and he would not come all the way to the US and lose clients because of this one deal. I know because I am from South East Asia. I paid $1000 for an average guy who spent less than 5 hours total. Sometimes a little more research is necessary before you post stories from your friends. I know of some Bay Area wedding photographers that start at cost a couple thousand. However, I have a friend who does wedding photography on the lower end who advertises his services on craigslist for $500 and all you get is the digital negatives on a DVD. Some services include more post-processing which make everyone looks better especially the bride and groom. Some packages also come with albums, prints, and the digital negatives themselves (some may keep the rights and the negatives… I also hear that some won’t give you or allow you to purchase the negatives until 1-2 years afterwards). Granted, you could order an album from [put your online print service here] yourself, some of the photographers do it in a photo journalistic and artistic style that’s unique. What you’re also paying for is the style and the photographer to capture those candid memories that happen in a split second and sometimes it’s about compatibility with the photographer you’re working with. Over a year ago, my friend paid $8k for hers. A friend of a friend flew a photographer from the Philippines to their destination wedding in Bali… though closer, not sure how much that cost. The services and photographer varies everywhere, so I can see why someone would want to fly in a photographer from elsewhere because that’s the type of photos they want for their wedding at a certain price. The engagement photos that people fly to Taiwan to take… I had a friend who just went for a photo session with her husband and it cost them $2000 USD. In the same building where I worked, there’s a company that builds dentures and are being exported to Germany! This is all part of globalization, you either embraced it or you get lost. Companies and individuals will try to look outside their country for cheaper products and services. It should not affect your patriotic duty, its just the way it is. Here in Dallas, Tx our wedding photographer charged $600. And gave us the negatives and a digital copy. I save $3400 dollars by not going to the phillipines. Also as a new optician (someone who makes and sells glasses) I could probably sell you glasses for 45 dollars but they would be crap. And I guarantee thats what you got. I would be careful because glasses made overseas do not follow the safety restriction in place in the US. i.e. If they are made of glass they do not have thickness requirement, and the do not require a hardening process. In america we require glass lenses to have a shatter test done. We only sell plastic for this reason. Also america requires UV400 protection in all lenses. I would check into how good a deal you got. How about retiring abroad to extend your savings and enjoy luxuries you couldn’t otherwise afford. Living abroad in Southeast Asia, I was able to enjoy renting a huge house and I could have easily employed a full staff if I wanted. Plus, I was able to live like a king and enjoy many things I could never have otherwise afforded back in the U.S.
My aunt recently retired to Panama in a community made up of American retirees trying to extend their hard-earned savings a little further, and I think everybody has dreamed of retiring to an island in the Caribbean at least one time or another. Of course, like all foreigners living abroad, you miss your homeland and there’s nothing like the comforts of your own country, but with the price of everything increasing in the U.S., retiring abroad may not be a bad idea. If buying stuff when I was in India for cheap is wrong, I don’t want to be right! I spent 6 months there on business (in Mysore) and was able to get tons of custom dress clothes made for a fraction (about $600 for 6 shirts, 4 pairs of pants, a suit, 2 blazers, and a kurta and pants) of what I would have paid for them here – easily would have paid over $1000 for the suit and blazers alone. In addition, the owner of the store that I bought them from gave me VIP service (served me coffee prepared by his wife at his home, comped me free silk ties, etc.) – Wouldn’t have gotten that at Men’s Wearhouse. I also bought a beautiful silk bedspread set for about $75 (as opposed to $300+ here in the US). I don’t feel any qualms about it. I figure that by saving money on some things that were cheaper in India, it allowed me to purchase US goods/invest in the US markets. I travel overseas and purchase small items for my family and sometimes myself. On a recent trip to Thailand I had 2 suits custom tailored. The fabrics are of high quality wool blends (I wanted lighter weight suits). The cost with some custom touches was 375.00 US. Trust me when I tell you there is nothing off the shelf that matches the quality and fit. That’s assuming you’re going to spend $2,200 on a suit and over $500 on glasses. People are lucky to be able to afford a family vacation, needless to say spend over US$4,000 on a wedding photographer. Save yourself the airfare, go to Big and Tall to get a damn suit, and spend 500 bucks. Kathy, do you ever spend extravagantly on something you love? Maybe it’s vacations, or cars, or eating out. What would you say if I told you to just spend less by getting it at Wal Mart or Pizza Hut? I’m guessing you would pretty much brush the advice off as condescending and irrelevant. Sort of like people will brush your advice off here (including me). Being rich is about being able to spend extravagantly on the things you love, and cut costs mercilessly on the things you don’t. But telling people to “just spend less” on everything never, ever works. It hasn’t worked for the last 50 years, and it won’t start working today. There is a better way. Glasses: If you’ve been getting $550 quotes from Lenscrafers and Pearle — well, yeah, no wonder things look cheaper overseas. I’m currently getting my web programming done by using a firm in India. I am going to save thousands and thousands of dollars by not using an American firm for the programming. If I receive the same quality work for less, I don’t necessarily see a problem. I compare it to buying a suit from Nordstrom vs JC Penney except that the clothing would be exactly the same quality. I didn’t travel for it specifically, but while I was living in Chile for school I ran my face into the bottom of a swimming pool. No alcohol involved, just exuberant youth. Anyway, the dentist’s bill for a chipped tooth repair came out to about $200. And this was NOT a back-alley affair. I got essentially the same treatment with up-to-date materials and tools. And the dentist, not an orderly, cleaned my teeth, ran the x-rays, and everything. If I were ever staring down the barrel of a $5,000 dental bill, I would seriously consider a little vacation in Santiago. Contrary to popular belief, Africa is NOT a country!! It is in fact the second largest and second most populous continent, comprising, in fact, 53 separate countries (including the islands). In addition, I am sure that the standard of care varies widely across these countries, though some surely offer excellent medical care. Lar, good point. My mistake. Thanks for the tactful comment. I’ve updated the post. We paid ~ $6000 for our wedding photographer from the Philippines last year. An equivalent photographer with a similar package, quality, and reputation in from the SF Bay Area cost more than $15000. It was a good deal for all parties involved. 1. We saved quite a bit of money and received quality in return. 2. In a country where the per capita income is about $1500 annually, $6000 is a lot of money. 3. He got work at a time where there would not be much work for him. Their wedding season is November, December, and January. Our summer months is their rainy season. 4. If he didn’t have a stellar reputation there, we would have never heard of him here. In response to Brian- about the quality of the glasses in India, it is definetly better or as good as you get it here. If there’s one thing I learned from this discussion, it’s to never have a wedding. So I had a somewhat minor surgical procedure done while I was in Korea. 3 visits with a doctor, necessary tests, the surgery itself including the anesthesiologist ended up being ~$1000 total (USD) without health insurance. In the US, where I was planning on having the surgery (my mother soooo awesomely convinced me otherwise), 2 tests and 1 specialist doctor visit would’ve cost $4000 without insurance (and even so, I paid over $1000 with insurance). Soo… yes. The US health care system is really really expensive. And, contact lenses. Bring your boxes with you to Thailand, and they can give you the same scrip, often even the same brands. This is probably true in other countries, most likely India. One caveat: old people need multifocals, which my husband hasn’t had any luck getting over there.